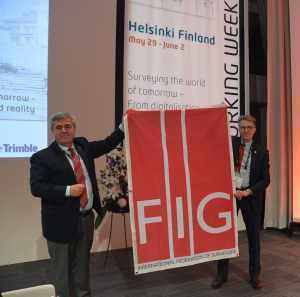 The 40th FIG General Assembly was held as usual as part of FIG Working Week. 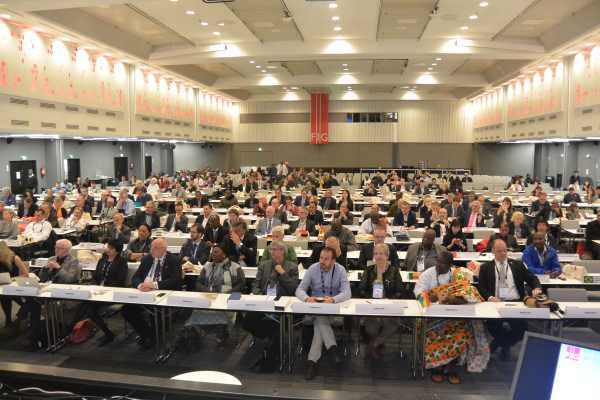 A record number of delegates had found their way to a cold but light Helsinki and the General Assembly. 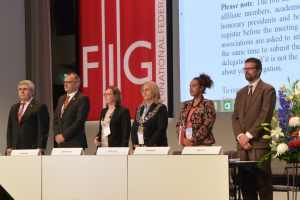 At the first session 63 member associations were represented along with other members of FIG and observers, in total around 300. At the second session on 2 June the representation of Member Associations had increased to 69, giving in total 86 votes. 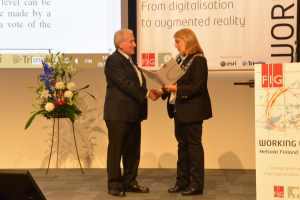 Together with other members and observers there were around 350 participants. In total 73 member associations have been present during the General Assembly. At the first sessions reports were given from the work that has been done since last General Assembly in Christchurch, in May 2016. All the many who have been involved in council, commissions, networks, permanent institutions and task forces presented some of the work they have been involved in during the last year. At the second session there were reports from activities during the week. 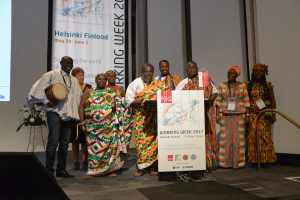 In her closing speech, FIG President Potsiou also reported from some of the many sessions and meetings during the week, both the inspirational plenary sessions, technical sessions, sessions with partners such as UN-Habitat/Global Land Tool Network, FAO, and the World Bank, and sessions organised by the four Platinum Corporate members: Bentley, ESRI, Leica and Trimble. The term of office for all elected members of the Council is four years subject to the provisions of section 5.6. No individual may serve for more than two consecutive periods on the Council as Vice President. The term of office of the president is limited to one period of four years. The term of office for the President, Vice Presidents and the ACCO representative starts on 1 January in the year immediately following their election. For the purposes of this section a single term of two years or less shall not be considered as a term of office. At the second General Assembly sessions this change was adopted with 49 votes for the change and 37 against. 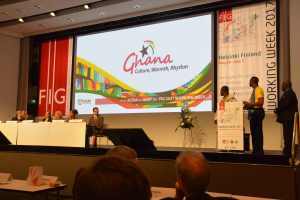 The second vote was to find the venue for 2021, and the election was between two strong bids from Ghana and Poland. 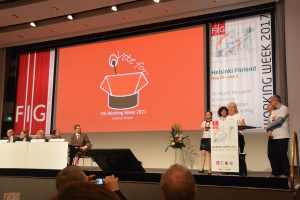 Both destinations were creative and inspiring in their promotion of the destination, and both destinations were praised for their motivating and stimulating campaigns to promote the cities and countries. This was also reflected in the final voting which was quite equal. Finally, Ghana received 47 votes against Poland with 39 votes. Very close. 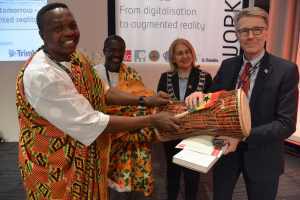 Thanks to both destinations and their associations behind for giving the General Assembly very memorable election campaigns and a fantastic insight in both Krakow and Poland as well as Accra and Ghana. During the term 2015-18 FIG has 4 task forces; three task forces looking at internal FIG matters and one task force to assess the progress of establishing the real property markets in the countries with economies in transition. 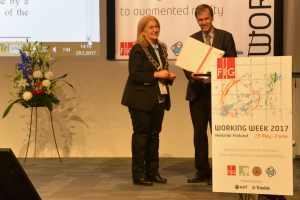 The Task Force on Scientific Journal presented its final report at the General Assembly, and the task force concluded the Working Week with a meeting together with the FIG Peer Review editorial Board. The task Force on Commission Structure also presented a concluding report. After the presentation of the report and recommendations, there was a noteworthy discussion which also continued at a well-attended lunch meeting later in the week. The recommendations were well received, and at the second General Assembly volunteers who wanted to contribute to the further work based on the recommendations of the Task Force were identified. FIG Council appreciates this large engagement from many member associations in the development of FIG and FIG structure. The General Assembly also had the hard task to say good bye to Member Associations who have not cleared their membership payments. 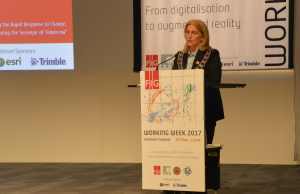 At the end of the General Assembly FIG President held her closing speech (link…) and thanked the local organisers for a splendid and well organised Working Week .